China plans to launch its second lunar probe this weekend,possibly as early as Friday (Oct. 1), according to the nation's official Xinhuanews agency. On Thursday, workers will begin fueling the Long Marchrocket that will blast the unmanned Chang'e-2probe into space from Xichang Satellite Launch Center inSichuan province, Xinhua reported. Launch will occur "at an appropriate time" betweenFriday ? China's National Day, when the country marks 61 years of Communistrule ? and Sunday (Oct. 3), according to Xinhua. Chang'e-2 is the second step in China's three-phase Chang'e moonexploration program, which is named after China's mythical moon goddess.Chang'e-2 will test out technology and collect data on possible landing sitesfor the Chang'e-3 spacecraft, which is scheduled to land on the moon in 2013,Xinhua reported. According to the state news agency, Chang'e-2 should arriveat lunar orbit about five days after launch. It will eventually swoop down toan orbit just nine miles (15 km) above the lunar surface to takehigh-resolution pictures of landing areas for Chang'e-3. After snapping the photos, Chang'e-2 will retreat to analtitude of about 62 miles (100 km) to conduct a study of the lunar surface anddirt. 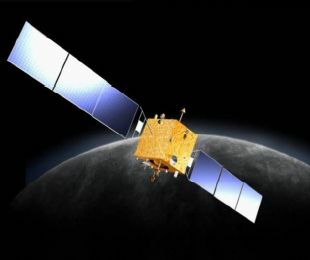 The Chang'e-1 probe ?launched in October 2007 and conducted a16-month moon observation mission, after which it crash-landedon the lunar surface by design, in March 2009. Chang'e is just one prong of China's burgeoningspace program, which has seen three successful manned spaceflights,including the nation's firstspacewalk on the most recent mission, the Shenzhou 7 flight of 2008. Weather forecasts for the Xichang area this weekend are for overcastskies with possible showers, Xinhua reported.